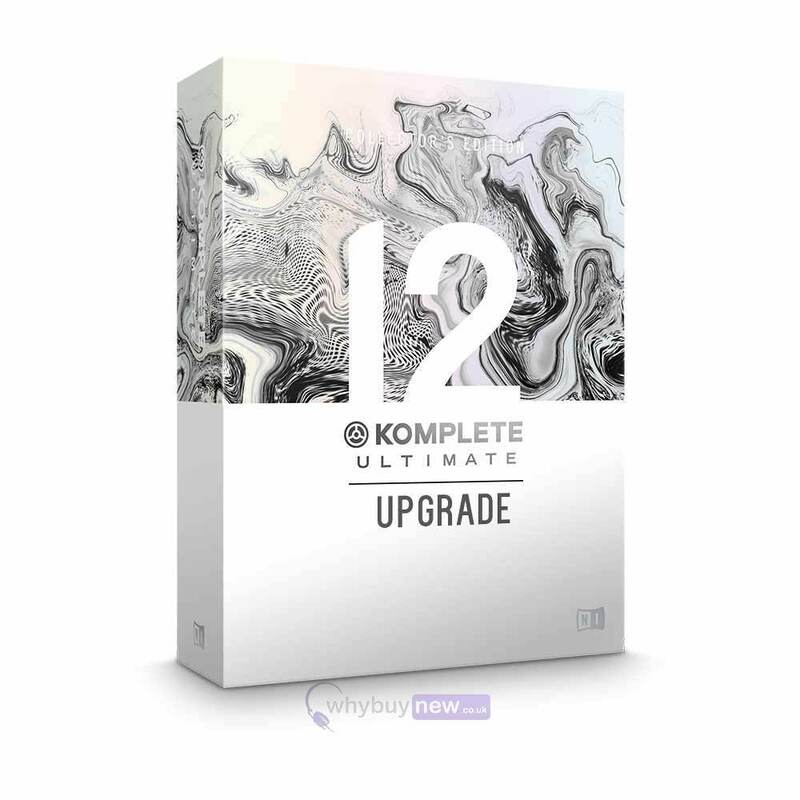 The Native Instruments Komplete 12 Ultimate Collectors Edition UPG K8-12 is specifically for anyone who owns Komplete versions 8 - 12 who want to upgrade to Komplete 12 Ultimate Collectors Edition. This software will only work for existing users of Komplete 8-12. Back in 2003, we put everything we had in a box, added a huge saving, and called it KOMPLETE: Nine plug-ins, 23 CD-ROMs to hold it all, and the rest is history. Now, for KOMPLETEs 15th anniversary, you can have it all again with the new Collectors Edition more than 150 instruments, effects, and Expansions, all at an 85% discount. Everything you need for total creative freedom. The Collectors Edition includes the entirety of KOMPLETE 12 ULTIMATE 100+ premium instruments and effects with more than 47,000 unique sounds. Six pro-grade libraries combining meticulous recordings of the worlds top musicians with a simple, yet powerful interface the definitive orchestral portfolio. KOMPLETE 12 ULTIMATE Collectors Edition contains an extensive set of sampled instruments for any scoring project. For the first time ever, get the full SYMPHONY SERIES COLLECTION as part of KOMPLETE. This complete scoring suite puts a full orchestra and top soloists at your fingertips, with six pro-grade libraries played and recorded by some of the worlds top musicians and audio engineers. You also get 10 other movie trailer-ready instruments, from ACTION STRINGS and ACTION STRIKES, to innovative sound design tools like THRILL, KINETIC TOYS, and KINETIC METAL. From faithful hardware recreations, to cutting-edge designs that go beyond the capabilities of even the most out-there analog gear, KOMPLETE 12 ULTIMATE Collectors Edition boasts 16 expressive, versatile synthesizers. Dive into FM synthesis with FM8, discover new textures with FORM, or explore the uncharted sonic worlds of the forthcoming MASSIVE X. Unique to KOMPLETE 12 ULTIMATE are REAKTOR 6-powered favourites like FLESH, RAZOR, and SKANNER XT. KOMPLETE 12 ULTIMATE Collectors Edition contains 30 sampled instruments, from unique pianos like UNA CORDA, THE GIANT, and ALICIAS KEYS to the pop-production sheen of SESSION STRINGS PRO 2, and the full DISCOVERY SERIES: COLLECTION. KOMPLETE 12 ULTIMATE Collectors Edition includes dedicated percussion tools for everything from pop and rock grooves and boom-bap beats to movie-trailer impacts. Recreate the sounds of yesterday with the full suite of Abbey Road drums, design your own kits with POLYPLEX and BATTERY 4, or create dramatic wide-screen tension with DAMAGE. 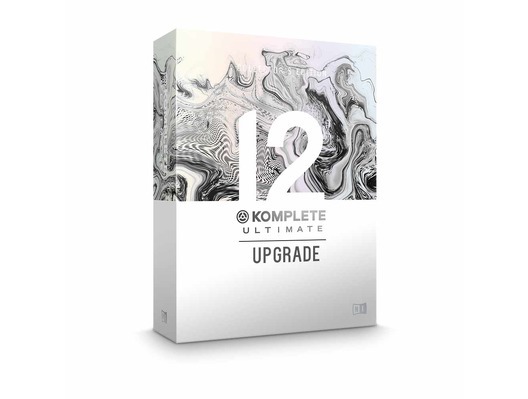 KOMPLETE 12 ULTIMATE Collectors Edition includes 50 Expansions* genre-specific sound packs loaded with synth presets, drum kits, one-shots, samples, and loops. Created by top artists and sound designers, Expansions can be used in any DAW and work with a range of Native Instruments products, including MASSIVE, BATTERY 4, and MONARK. Collectors Edition may be the biggest KOMPLETE to date, but getting up and running has never been quicker or easier. If you choose a physical copy of KOMPLETE 12 ULTIMATE Collectors Edition, all of your instruments, effects, and additional content comes preloaded onto an HDD. Choose a download version, and your software becomes available right away via Native Access your one-stop hub for easy product installation, registration, and updates. Its not easy to make sense of over 90,000 sounds. That's why KOMPLETE 12 ULTIMATE Collectors Edition comes with KOMPLETE KONTROL a handy plug-in that makes light work of browsing through all your instruments and effects, whether using NI hardware or your mouse and keyboard. And since each instrument preset comes with an audible preview, you can audition all your sounds without waiting for extra plug-ins to load. Everything in the Collectors Edition comes ready-mapped to your NI hardware by the plug-in developers themselves, so getting hands-on with all your instruments and effects is as simple as connecting a KOMPLETE KONTROL keyboard or MASCHINE controller. And thanks to NKS, you get exactly the same experience with hundreds of plug-ins from more than 75 leading manufacturers. Infamous Flow - Silky R&B melodies meet classic hip hop beats for the sound of 90s platinum-selling hits. Nocturnal State - Vibrant MASSIVE presets blending trap, EDM, and pop aesthetics for radio and festival hits. Stadium Flex - The polished sound of minimalist techno and house. Polar Flare - Navigate to the arctic side of electronica, with otherworldly instruments, woozy synths, and melancholic vocals. Global Shake - The sound of contemporary Africa bursting onto the international stage GLOBAL SHAKE is packed with irresistible rhythms. Timeless Glow - Lose yourself in the silky sound of classic house, with bouncing drums, jazzy chords, soulful vocals chops, and low-key basses. Carbon Decay - Captures the anarchic sound of industrial techno, with pounding drums, angular synths, and deep sound design. Meteoric Rise - A feel-good fusion of soulful melodies, trap-style drums, and lazer-sharp synths for cutting-edge pop that shines. Prismatic Bliss - Immersive sonic explorations from the ambient side of electronica. Motor Impact - The unmistakable Detroit sound for contemporary electronic music styles. Solar Breeze - Explore the evocative panorama of indie electronica with exclusive acoustic-electronic sounds. Magnate Hustle - The prismatic sound of forward-thinking urban pop in a chart-ready Expansion. Lone Forest - Your guide through the vast landscape of dub techno and electronica low basslines, dusty drums, and haunting atmospheres. Circuit Halo - Fuse the intricate arrangements of cerebral electronica with the sounds of vintage synths and drum machines. Sweet Swarm - Unleash the sharp, analog drums, chopped 70s cinemascapes, and vintage funk instrumentation found in underground New Yorks hip hop from the 90s. Headland Flow - Cruise through the undeniably soulful sound of Southern hip hop. Sierra Grove - The groove-drenched sound of 21st century soul in a deep sample library. Lilac Glare - The melodic atmosphere of modern pop rhythms with raw acoustic and electronic R&B flare expertly sampled and studio-ready. Transistor Punch - Full of dancefloor bounce a premium selection of drum hits, melodic synthesizer sounds, and more. Rising Crescent - The distinctive sound of the Mediterranean and the East fused with modern bass production techniques. Grey Forge - Sampled classic analog drum machines and synthesizers with a contemporary edge. Arcane Attic - Distinctive, percussive crunch with jagged field recordings for unconventional rhythms. Raw Voltage - Add pure charge to your tracks the sound of a huge modular system. Up-front analog sounds, from noisy to clinical. Vintage Heat - Sampled classic analog drum machines and synthesizers with a contemporary edge. Pulswerk - The polished sound of minimalist techno and house. Hexagon Highway - The hyper-sonic sound of experimental electronic music. Static Friction - The relentless, energized sound of tech-house with a pounding set of custom sounds. Conant Gardens - Capture the soulful vibe of Detroit tasty hip hop with a dash of funk, jazz afrobeat, and deep house on the side. Amplified Funk - The sound of the music sensation that injected The Groove into popular music designed by funk and soul specialist Amp Fiddler.